Come Sort Trash with Us! And don't forget to bring your friends! Share this graphic on Facebook, Twitter, and Instagram. ...The trash was composed largely of paper, rigid plastic, and organics. We found quite a few paper napkins, and a bunch of abandoned sushi. In the very near future, Return Recycling's rad waste characterization process will be made easy and accessible to anyone interested in seeing what's in their school's trash! If you're interested in using an app to characterize waste at your school, sign up for our App Network List here. Do you or a friend have experience with programming or APIs? Check out our job posting for an App Development Intern on NYU's CareerNet, or email us directly at info@returnrecycling.com. Warming Up: Our First Sorting of the Fall! Yesterday morning, a few members of our team got up bright and early to run through all the logistics of sorting through our trash for the first time this semester. We got together our bags, our bins, our scales, and our bagels (of course), and went to work! We dug through three bags to make sure we worked out all the kinks of sorting (hidden spreadsheet glitches, brain cobwebs, etc.) and eased back into our good old trash habits. It felt real good to get back in the groove - I even missed smelling like garbage juice a little bit? We’re trying out a couple new things this year. In addition to our usual materials, we’ve also added in “Cardboard” and “Textile” as potential material classifications, because they’re ultimately processed very differently from any of our other materials. Also, after proving that our bins and signage yield higher diversion and accuracy rates than typical NYU bins and signage, we’re choosing to focus on only the waste that’s going through our bins, and use our studies to, among many other functions, analyze specific elements of signage design and their impact on the waste streams. After getting through some of the dirty work, we took a break to try our hand at some trash art! We’re pretty proud of what we created (obviously - please refer to the included images), and we’re hoping that we can work art making into every sorting that we do from here on out. I think I speak for all of us when I say that we’re thrilled to get the sorting ball rolling again, and to get even more people involved and digging through trash this year! Our next sorting event is on Friday, November 18th, and it is open to the public - so if you like what we do and would like to try it out, keep an eye out here on the blog and on our social media accounts for more information! I dunno, guys it's pretty accurate. "The amount of paper used in the United States in one day is shocking. Although not all of this paper is wasted, it is safe to say that some is. It is important for everybody to start thinking about how to reduce, re-use and recycle products. 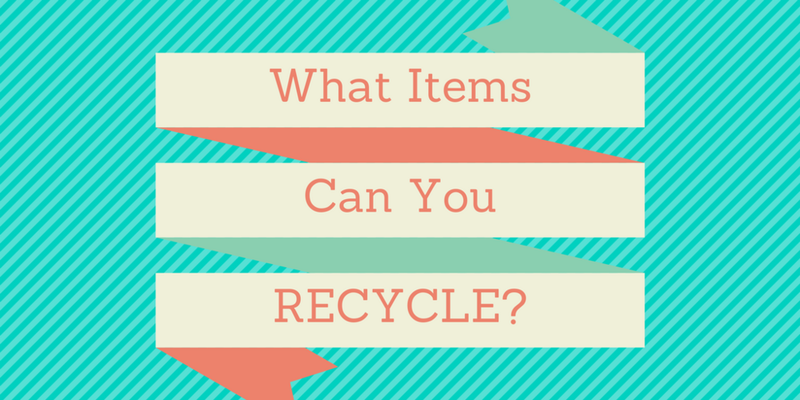 There are a variety of activities that everyonecan start doing to decrease the amount of wasted paper. Next time you are about to throw something away, ask yourself: Can this be recycled or re-used? This infographic was made by Esker and details the amount of paper used in the United States, daily." 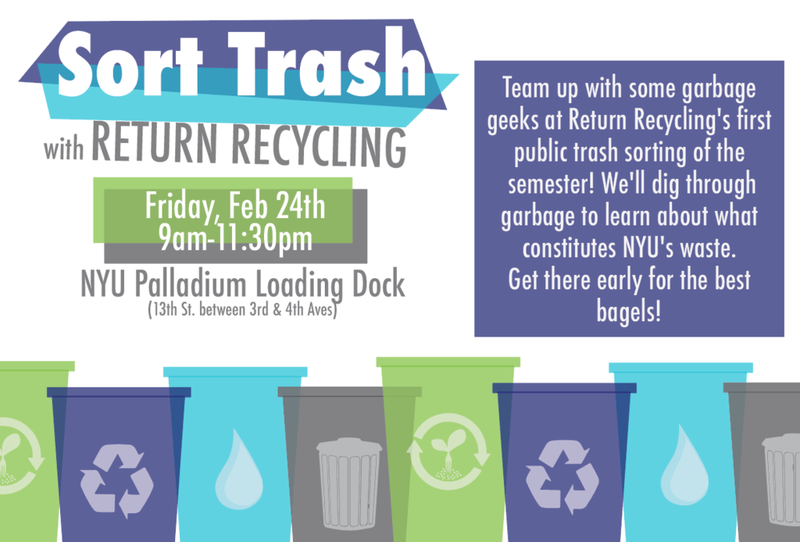 Earlier this month Return Recycling was honored to receive an NYU President's Service Award. These awards go to individuals and organizations who have shown a commitment to community service and civic engagement on campus and in local communities. As a small group of students working to dig through trash once a week, sometimes it can be hard to see the bigger picture or that what we are doing matters. However, every day we get more data, it becomes more organized and our outreach grows in NYU community. It means so much that our university acknowledged our work and understands its value to our community. Trash matters! We're working to build a better system for universities everywhere, but that would mean nothing without your support. Thank you so much for being a part of Return Recycling in anyway, whether it be participating in a sorting "party", asking us questions about recycling, talking to us at the Earth Day street fair, or even liking a post. Organizations need people. Thank you for being our people. We're looking forward to big things this summer and we hope you will continue to follow us on our adventures in waste characterization. About 4 years ago, I bought this product called the Waka Waka Power. And now I'm going to review it! The Waka Waka Power is a solar charger that includes 2 ports: a USB and a micro USB. not only is it a charger, it's also a flashlight. The flashlight can be turned on to various levels of brightness, from dim to very bright. I find the flashlight function to be quite useful. Because it has a stand, the flashlight can be used as a small lamp. So if you like to pretend you are camping and want to read a book, this is great for that purpose. It's also good for actual camping or walking at night. Now onto the charging function, you simply plug in the cord to your device and the charger and press a button to start the charging. You know it's charging by a blue light near the port. It's quite easy to use. When it runs out, the blue light will not be lit. And to know how much charge the Waka Waka has, you press the button and on the top is an indicator with 4 lights. 4 lights means 100% full, 3 lights is about 75% or more, and so on. Again, super simple. As for the efficiency, it's not the greatest, as it is a small handheld device, about the size of an old iPod. Depending on the season and level of the Sun's intensity, it takes 3 or more days for a full charge. A full charge on the Waka Waka is usually a little less than full charge for an iPhone. A full charge for the flashlight use however is about several hours, depending on the level of brightness it's on. I usually just put it right up against my window and leave it there. When I find my phone is dying and I have to be on the go, I will bring it with me. However, I don't depend on it to charge my phone daily. Overall, I like this product for the novelty of a solar powered charger. It really is useful in certain situations, and I like how it doubles up as a flashlight. It's not very cheap, but it's cheaper than the other solar products out there, or at the time it was. Even after 4 years, it works perfectly the same as when I bought it! One cool thing is that for every product they sell, they give one of their regular Waka Waka flashlights (no charging capability) to someone who lives in a destitute area without electricity or who need a lamp, like students. Moonrose is a cognoscenti in almost everything. She likes to read, explore, and laugh, as the generic person does. She is also quite witty. Most people would describe Moonrose as unique and eccentric at times. She is oddly fascinated with dogs and obsessed with YouTube. Her other passions include being a nerd, specifically a science, technology, and eco-nerd, and pretending to be an expert. You should get to know her because someday she will succeed in life and it will be great. I happened to come across this YouTube video talking about this really neat concept: pencils that turn into plants! 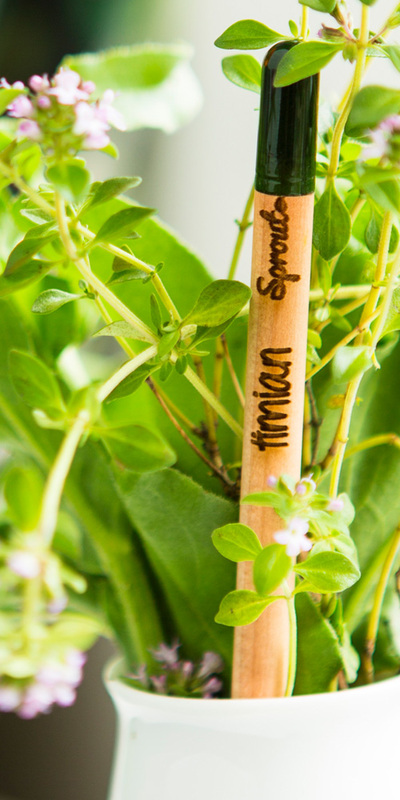 The idea is that once you sharpen a pencil into a stub, which can't be used anymore, you just plant it into a pot of soil. There are seeds in a capsule at the top of the pencil, replacing where an eraser would normally be. There are different types of seeds, like herbs, vegetables, and flowers in the capsules. Once you plant them into a pot, I suppose the capsule will biodegrade and allow the seeds to sprout. However, you could also reduce your pencil waste by using a mechanical pencil and buy packs of lead. Wooden pencils without the metal cap and synthetic erasure are also biodegradable, since they are wooden. The only caution is the potential toxicity of the pencil's paint that might be a hazard to the environment. But if you want the feel of a wooden pencil (with no paint) and some seeds, this product would be right up your aisle. Just remember to buy an eraser. In Robin Nagle’s talk at NYU The Wonder of Waste, mentioned in a previous post, Professor Nagle spoke on the alienable nature of trash. We separate ourselves from our trash because we want it to be invisible and anonymous. We don’t want the responsibility of disposing consciously and we don’t want the guilt of the trash that will take generations to “disappear.” Some objects in our lives are inalienable like family heirlooms and treasures. They are passed down but still in the family or still with someone you love. The idea of inalienable objects appears in Patagonia’s Worn Wear campaign that encourages and highlights their clothes being passed down through generations. Our trash will last as long as those items that Patagonia sells and/or we hold dear. 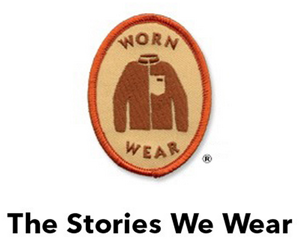 The Worn Wear campaign promotes conscious consumption as purchasing things that will last for your lifetime and that of your children. However, there is a greater issue when it comes to conscious consumption of things we view of disposable, like packaging, plastic bottles, or even cell phones. If you have to buy something which has disposable packaging, make sure it’s recyclable and to recycle it. The Patagonia jacket that’s been in your family for 30 years carries the stories of everyone who has worn it and where they have been with it, but the trash you throw away everyday also tells a story and the trash we leave behind will show future generations how we live now. Return Recycling is a business in the making... click here to watch a quick explainer on our research and prototype testing! On a day notoriously dubbed, Black Friday, thousands of miles across the Atlantic Ocean and away from the stampedes flooding the retail stores of America, a British activist group, Brandalism, replaced 600 Parisian billboards with those containing a slightly more transparent and snarky message. “They are meant to very publicly call out the corporate sponsors of the United Nations’ COP21 Paris Climate Conference for their less than eco-friendly practices.”1 Front and center in these revamped ads were companies like Volkswagen and Exxon-Mobile both notorious for being caught causing significant harm to the environment. One poster posing as an Volkswagen advertisement snidely remarks, “We're sorry that we got caught. Now that we've been caught, we're trying to make you think we care about the environment. But we're not the only ones." 1. Lewis, Danny. "Hundreds of Fake Ads Protest Paris Climate Summit." In recent years, every Thanksgiving around 200 million tons of turkey has been discarded. At our big thanksgiving feasts it's often hard to know where our food comes from much less where the leftovers will end up. This was my first Thanksgiving not helping cook the meal and not packing the leftovers into tupperware to eat later. I didn't get to eat stuffing for breakfast the day after and my Thanksgiving sandwiches are stuck in a landfill somewhere. So if you have leftovers, as I hope you do, try this: make a sandwich with turkey, gravy, cranberry sauce, green beans, and stuffing. It's delicious and you won't regret it. Read more about the negative impacts of Turkey Day food waste here. Last Wednesday, NYU professor, Robin Nagle gave a talk titled The Wonder of Waste on what she learned and is researching as the anthropologist-in-residence for the New York City Department of Sanitation. Her book, Picking Up, grapples with the history of waste management in New York City, from the first designated trash drop-off points on the edge of the island to offsite landfills like Freshkills on Staten Island. The cleanliness of the city was at its worst in the mid 19th century when the streets were called “tubbs of nastiness” and who saved it but the cities first sanitation crew organized by the newly appointed Street Commissioner, George Waring. These sanitation workers were dubbed “apostles of cleanliness” but their job came with a danger and stigma that remains today. Trash is personal. The contents of landfills are telling of who we are as a society. However, trash is also invisible and anonymous. It goes into the bin, the pile, never to be seen again. It disappears. We don’t want the responsibility of putting a plastic bottle in a landfill. So that responsibility is passed on to the Department of Sanitation, a group of dedicated workers, many legacy employees, who do one of the ten most dangerous jobs in the country and take our trash bags off the curb with little to no thanks or acknowledgement. The Department of Sanitation, as Professor Nagle said, was the last organization to leave site after Hurricane Sandy hit. The city relies on them. We don’t stop to think about throwing away our trash because there is a whole force of people on their way to clean up our streets.